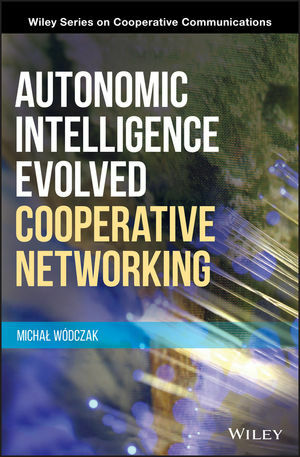 Autonomic Intelligence Evolved Cooperative Networking offers a comprehensive advancement of the state-of-the art technological developments in the fields of Cooperative Networking and Autonomic Computing. Based on his track record in industrial standardisation, as well as academic and applied research, the author presents a fully-fledged Autonomic Cooperative Networking Architectural Model that encompasses the relevant workings of both the Layers of the Open Systems Interconnection Reference Model and the Levels of the Generic Autonomic Network Architecture. DR. MICHAL WODCZAK holds a PhD in Telecommunications from Poznan University of Technology, obtained under the umbrella of European Union Sixth Framework Programme, as well as an Executive MBA from Aalto University School of Business, distinguished by the Triple Crown of AACSB, AMBA, and EQUIS accreditations. In this respect, advancing a double industrial and academic expertise of a complementary nature, he is known, among others, to have run standardisation activities as Vice Chairman and Rapporteur of ETSI ISG AFI, as well as serving as Editorial Board Member of IEEE CTN, respectively.